Summer is here and TDS TV has some exciting new movies to beat the heat. 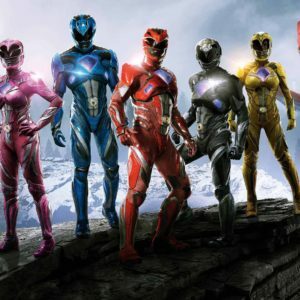 The new “Power Rangers” film should appeal to kids as well as adults (especially those who grew up watching the original show back in the 1990s). Looking for more nostalgia? We’ve got “T2: Trainspotting” – a sequel to the groundbreaking “Trainspotting”, plus CHIPS – a raunchy version of the 1970s cop show. If you’re searching for some acclaimed dramas, you’ll be intrigued by the World War II thriller “The Zookeeper’s Wife” as well as “Song to Song” – the latter set in the Austin music scene. Available June 27. Rated PG-13. It’s morphin’ time! This big screen reboot of the kids’ television show is a pretty well done coming-of-age tale mixed with goofy science fiction elements and typical big-budget superhero special effects. And it’s all pretty fun. 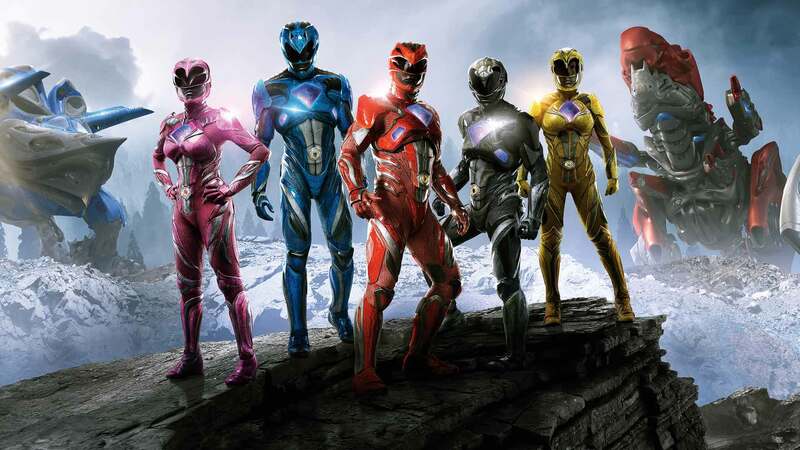 For the uninitiated, “Power Rangers” is about a group of high school kids who are infused with superpowers – and have to save the world. Elizabeth Banks is a hoot as the film’s baddie – Rita Repulsa. Available June 27. Rated R.
Twenty years ago director Danny Boyle made the wickedly funny “Trainspotting” – chronicling the lives of a group of drug addicted friends in Scotland. “T2” brings the gang back together and it’s a funny and wild reunion heavily laced with sadness, regret and melancholy. The film doesn’t live up to it’s predecessor (not an easy thing), but it’s still a very good flick. The entire core cast of the original film is back, including Ewan McGregor, Roberty Carlyle, Ewen Bremner and Jonny Lee Miller. I seem to come across a movie like “CHIPS” every month or so. The film – to its credit – knows what it is and what it isn’t. It’s not a movie for the critics. It’s a big, dumb, crude comedy – end of story. So that is what you get – an immensely lewd and silly film that – if you are in the right mood – can be a lot of fun. The jokes come a mile a minute and they will make you roll your eyes and cringe as often as they will make you laugh. The film is greatly aided by stars Dax Shepard and Michael Pena, who are good in the leads. Available July 4. Rated P-13. Based on a remarkable true story, “The Zookeeper’s Wife” tells the tale a woman (played by Jessica Chastain) who saved hundreds of Jews from the Nazis in World War II. The film is moving and beautifully made, and all the elements – including the script, the sets, the tone, the actors and the direction – are uniformly excellent. If “The Zookeeper’s Wife” suffers from anything it might be that the we’ve seen this story told in other films in recent years – thus limiting some of its emotional and intellectual impact. Available July 4. Rated R.
Set amid the Austin music scene, “Song to Song” is about two couples who become entangled in a surreal rock and roll world filled with seduction and betrayal. The movie was written and directed by acclaimed filmmaker Terrence Malick and, like many of Malick’s films, it wraps its subject matter in beautiful emotions and evocative imagery. “Song to Song” is not for everyone. It is unlike much of what you see in mainstream filmmaking, which means those looking for a little something different might succumb to movie’s charms. The film is aided by a superb cast, including Michael Fassbender, Ryan Gosling, Rooney Mara and Natalie Portman.